I bet you already guessed where my next stop would be. It would be almost criminal to pass up a visit to such an amazingly magical city. As soon as you drive into Savannah it's like you are transported into a different time and place! 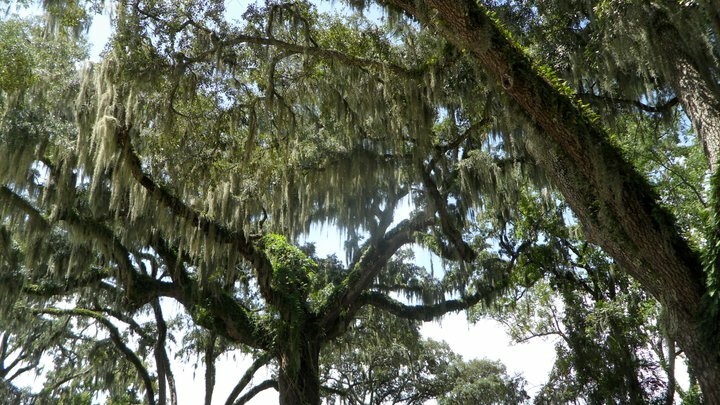 Spanish moss drips from every tree winding around branches and coating streets. It is so romantic looking in the summer. We only had half a day in Savannah, before we had to head off for my birthday plans the next day. 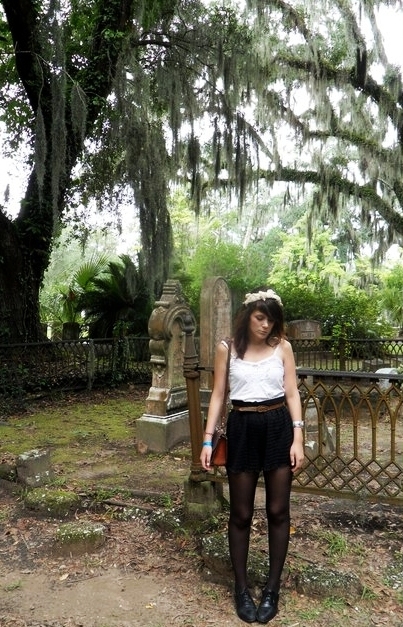 So we got up early and headed through the city to Bonaventure Cemetery. Established in 1846 this was by far the oldest and most breathtaking cemetery I have ever been to. 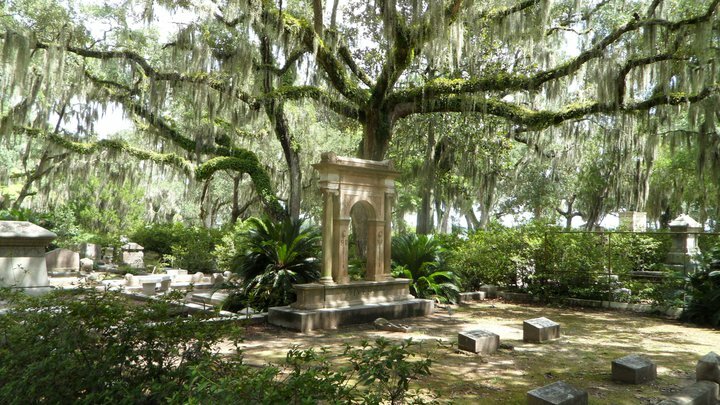 It sounds creepy wandering around an old cemetery, I'm sure it would be at night, but under the Spanish moss and the sunshine it was lovely to take a wander in. Taking in all the delicate sculpting work that had been put into the headstones and hearing the stories of how they came to be. There was a plaque next to one in particular that interested me. 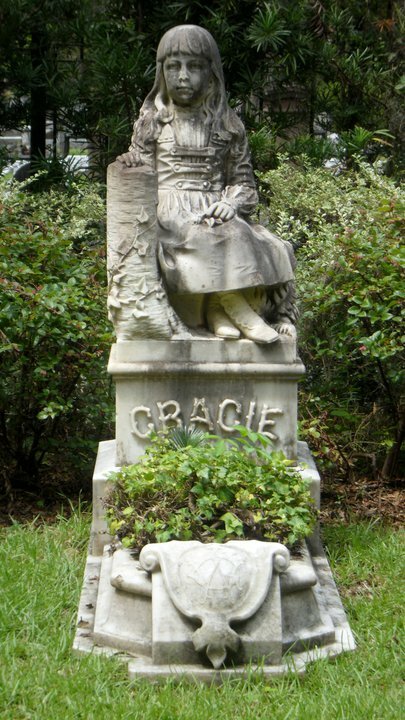 It was a statue a famous artist had made for a wee girl called Gracie who was the daughter of the owner and a favourite of the guests at a local hotel. The artist had taken a shining to her so much that he created it just for her when she passed away. 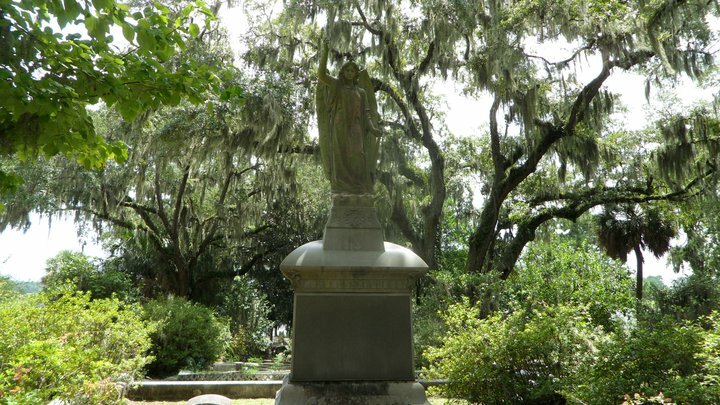 Famously she is said to haunt the graveyard at night. We did not see her of course, but this story did give me goosebumps a little. We stayed for as long as we could before the mosquito's took there revenge and I looked down at my legs for the first time to two full legs covered in the pesky little things, even through my tights!. This revelation made me, for the rest of the time there, look a little crazy as I stomped my feet when I walked so they wouldn't land on me.This didn't work! I'm very allergic to the bites, so we sooner than planned, headed back to the safety of the car. On the drive back, to see more of the quaint city, we were two seconds away from getting taken out by a classic southern downpour! It isn't like in New Zealand where the rain spits for 15 minutes, warning you to seek shelter, it just goes hey thereWHAM! and your drenched. It kept raining, so after a quick late lunch we drove around admiring the gorgeous buildings and then headed onto our next destination. Thank you so much! These pictures are so beautiful and your Outfit is absolutely stunning! I follow, dear. Savannah is such a beautiful city! Your photos are really making me miss the South. 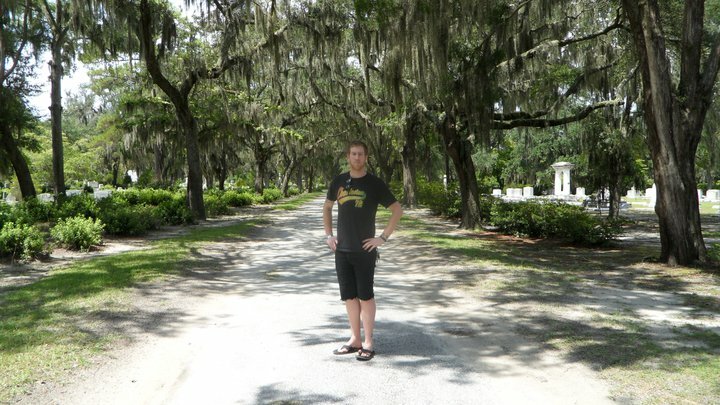 Spanish moss is one of my favorite things in the world. 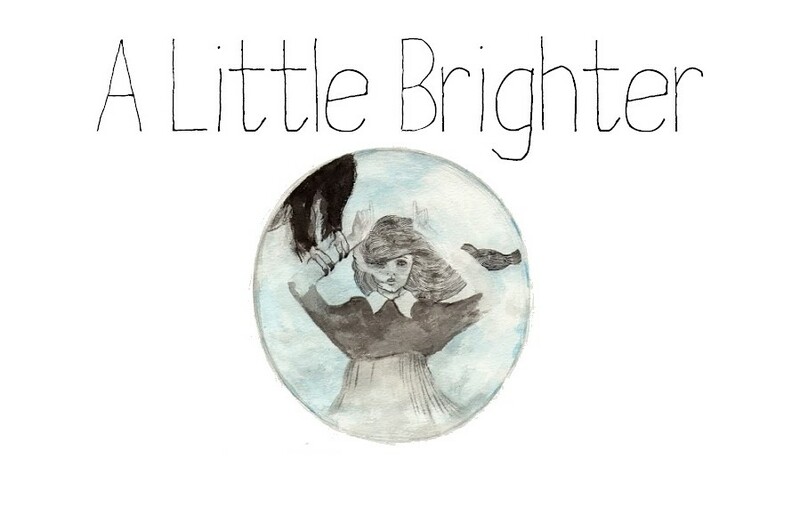 Gorgeous photos and the story of the little girl is sweet and creepy at the same time. do you know how she died? WOW. I've never been to the South. I need to! These pictures are gorgeous! And I love you use of black- you do it perfectly. Wow you ARE literally travelling to so many places. So lucky! lovely photo's again and i hope your mosquito bites are healing itself..
oh my gosh!!!! i've always wanted to visit savannah! soooo jealous! your photos are beautiful! Really great photos! Savannah looks like a dream! These photos are breathtaking! Thank you so much for sharing with us something so beautiful! Thank you! We should exchange playlists. I always like hearing new music! :) We should do package exchanges! You went to Savannah!!!! Your outfit is adorable, as always . . . thrifting culottes is the hardest thing in the world, but you found such a cute pair of them! That floral headband is a beaut ... very jealous. This looks amazing! I've always wanted to take a trip to the south. 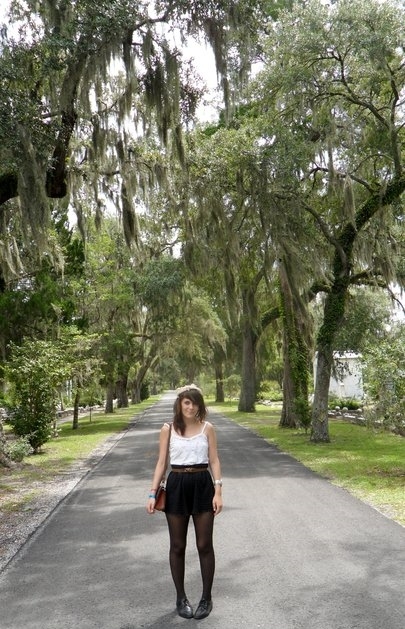 I love spanish moss so much! Anywho neat pictures and outfit! The scenery here is breathtaking. Your road trip seems like quite the adventure. I'm really enjoying your blog so far. Can't wait to read more! beautiful pictures, i LOVE ! 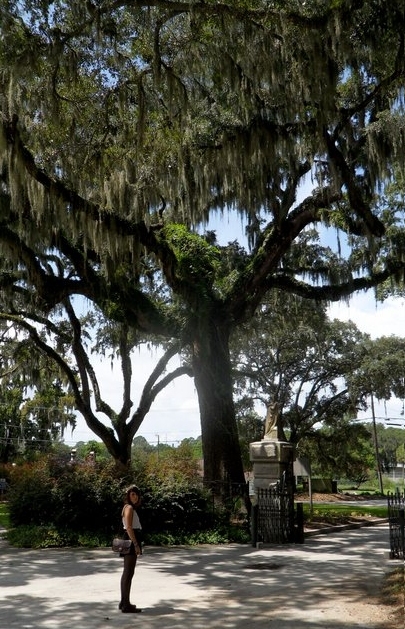 Savannah is one of my favorite cities in the US. I would TOTALLY live there. thrift lover & Trade Me vintage seller. Born and raised in little ol' New Zealand.